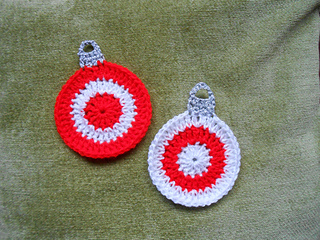 Christmas Ornament Coasters by Joanita Theron is a lovely pattern made using DK weight yarn and 3.5mm crochet hook. Christmas Bauble Coaster by Rosella Tinn is a nic be made using DK weight yarn and a 5.00mm crochet hook. 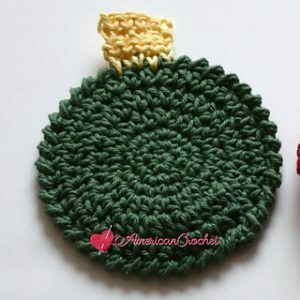 Christmas Ornament Coaster by Sara Sach is a lovely pattern made using worsted weight yarn and a 5.00mm crochet hooks. Looks cute in Christmas colours. 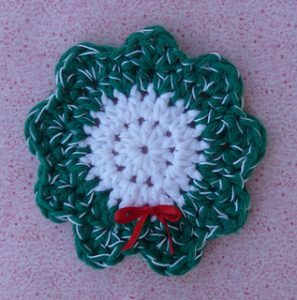 Christmas Coaster by Atty van Norel is a lovely design made using 2.5mm crochet hook. 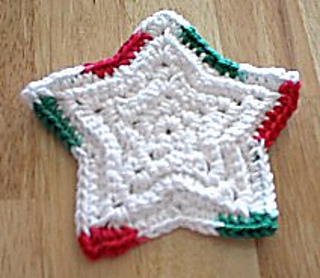 Christmas Ornament Coaster by Mistie Bush made using Worsted weight yarn and a 5.00mm crochet hook. Christmas Ornament Coaster by Elzaan Van Rensburg is a lovely pattern made using DK weight yarn and a 3.5mm crochet hook. 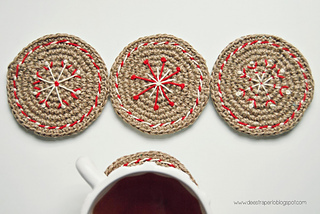 Wish Star Coasters by Joanita Theron is a nice Star Coaster made using DK weight yarn and a 3.25mm crochet hook. Star Coaster by Janelle Schlossman is a lovely Christmas Coster made using Worsted weight yarn and a 4.00m crochet hook. 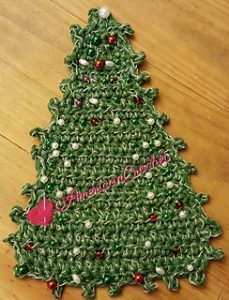 Christmas Tree Coaster by Mistie Bush is a lovely Christmas Tree Coaster made using Worsted weight yarn and a 5.00mm crochet hook. 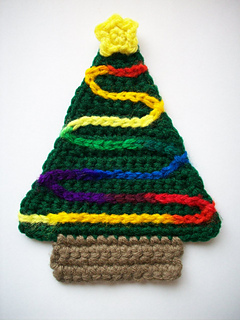 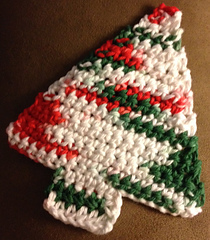 Christmas Tree Coaster by Sara Sach is a nice pattern made using Worsted weight yarn and a 5.00mm crochet hook. 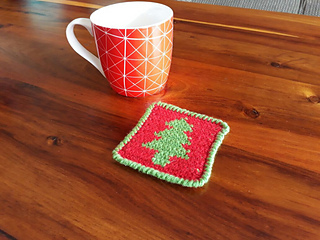 Christmas Tree Coaster by Elzaan Van Rensburg is a nice pattern made using DK weight yarn and a 3.5mm crochet hook. Holiday Cheer Coaster by Amber Jones is a nice pattern made using Worsted weight yarn and a 5.00mm crochet hook. 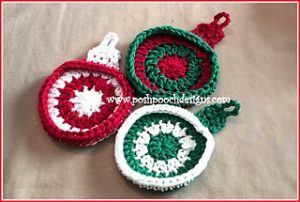 Holly Jolly Christmas Tree Coasters by Brown Bag Yarn is a nice and simple pattern made using Worsted weight yarn and a 4.5mm crochet hook. The pattern is available as a Free Ravelry Download. 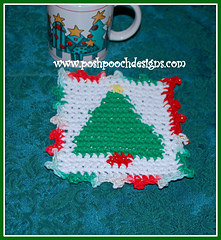 Beginner Christmas Tree Coaster by Dody Hall is an easy pattern made using Aran weight Yarn and a 4.5mm crochet hook. 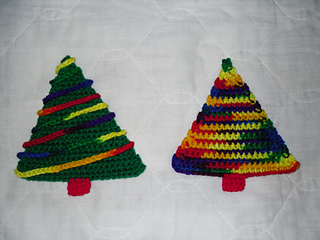 The pattern is available as a Free Ravelry Download. 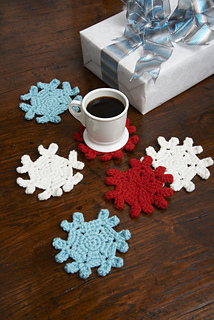 Snowflake Coasters by Nancy Anderson is a nice snowflake pattern for coasters made using Aran weight yarn and a 4.00mm crochet hook. 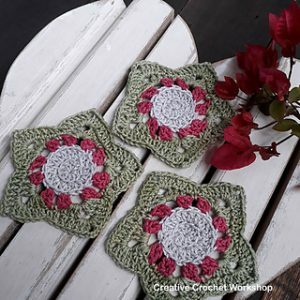 Snowflake Coasters by Janaya Chouinard is a cute pattern with lovely colours made using Worsted weight yarn and a 5.00mm crochet hook. 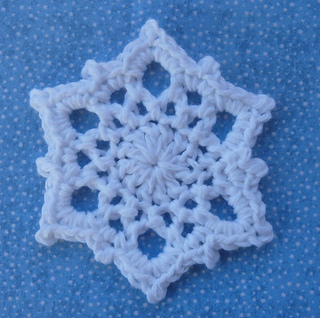 Snowflake Coaster by Priscilla Hewitt is a nice pattern made using Worsted weight yarn and a 3.75mm crochet hook. Snowflake Coaster or Ornament by Doni Speigle is a nice pattern made using 4.00mm crochet hook. 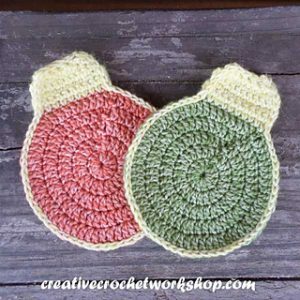 The pattern is available as a Free Ravelry Download. 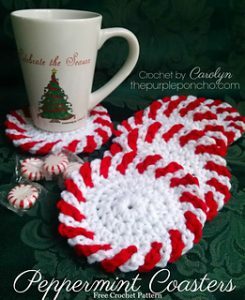 Peppermint Coasters by Carolyn Calderon is a nice pattern made using Aran weight yarn and a 6.00mm crochet hook. 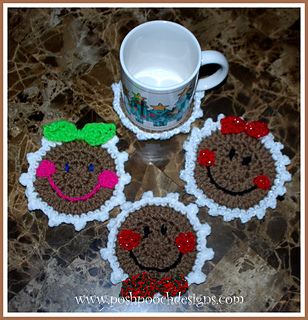 Peppermint Coaster by Doni Speigle is a cute one made using a 4.00mm crochet hook. 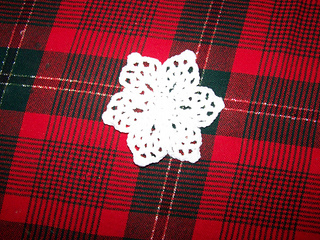 The patter is available as a Free Ravelry Download. 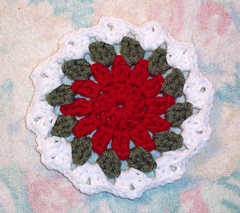 Christmas Wreath Coaster by Sara Sach is a lovely pattern made using Worsted weight yarn and a 5.00mm crochet hook. Christmas Wreath Coaster by Doni Speigle is a lovely pattern made using a nice yarn and a 4.00mm crochet hook. 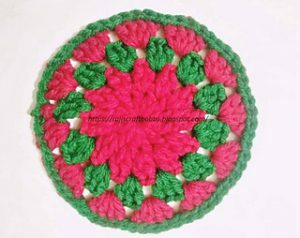 The pattern is available as a Free Ravelry Download. 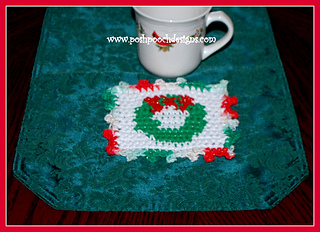 Christmas Coasters by Teri Heathcote is a nice pattern made using DK weight yarn and a 4.5mm crochet hook. Christmas Jute Coaster by Maria Sommer is a nice pattern made using Jute and 3.00mm crochet hook. It is an Eco-friendly crochet product. Christmas Gingerbread Coasters by Sara Sach is a cute pattern made using Aran weight yarn and a 5.00mm crochet hook. 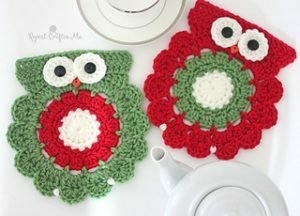 Christmas Owl Coaster by Sarah Zimmerman made using Worsted weight yarn and a 5.00mm crochet hook. 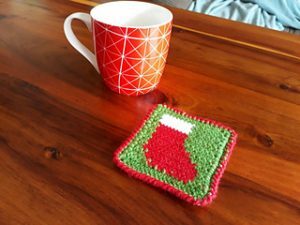 Christmas Stocking Coaster by Elzaan Van Rensburg is another pattern by her made using DK weight yarn and a 3.5mm crochet hook. 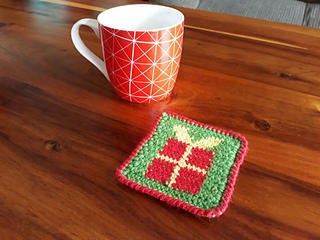 Christmas Present Coaster by Elzaan Van Rensburg is a cute little pattern made using DK weight yarn and a 3.5m crochet hook. 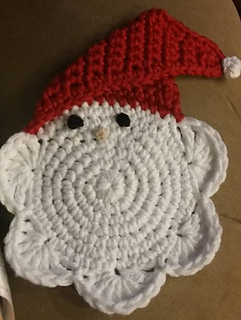 Santa Claus Coaster by Becky Callahan is one of the lovely Christmas Coasters Pattern made using Worsted weight yarn. 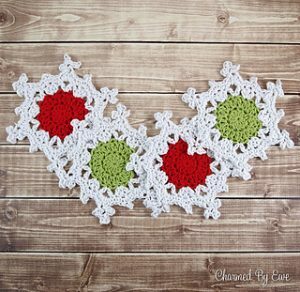 The pattern is available as a Free Ravelry Download. Mitten Coaster by Doni Speigle is the one you might have never seen, made using a 4.00mm crochet hook. 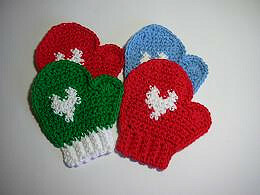 The pattern is available as a Free Ravelry Download. 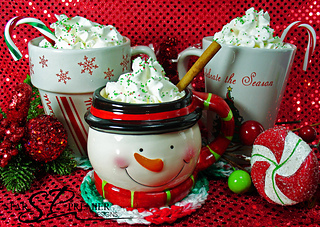 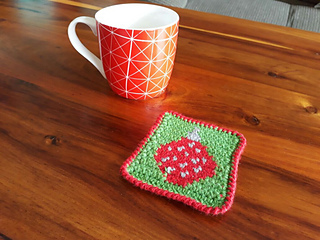 Christmas Themed Coaster by Rajeshwari Singh is a nice and simple pattern. It is an easy and a must try pattern. Holiday Coaster by Donna Mason-Svara is a lovely traditional pattern made using Aran weight yarn and a 5.00mm crochet hook. 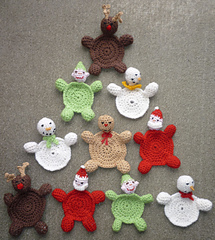 The pattern is available as a Free Ravelry Download. 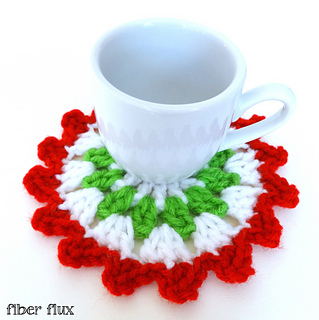 Merry Berry Coasters by Fiber Flux / Jennifer Dickerson is a nice pattern made using a 5.00mm crochet hook. 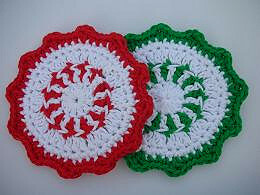 Christmas Coasters by Nancy Dickinson is a nice Coster pattern made using Worsted weight yarn and a 6.00mm crochet hook. The pattern is available as a Free Ravelry Download.